US football academic and historian Professor David Kilpatrick believes that American soccer has to embrace a pyramid system in order to halt a worrying drop in participation rates. 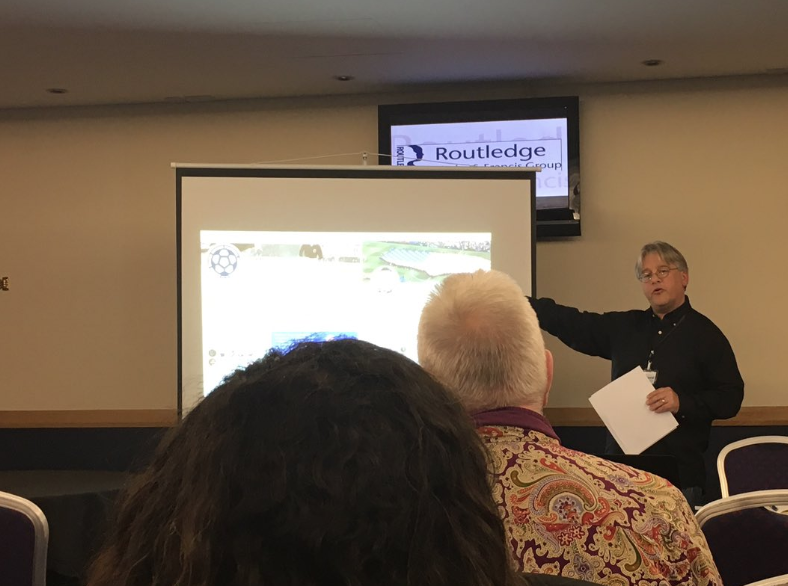 Speaking at Hampden Park today, the New York Cosmos club historian said: “I think having a pyramid system would open everything up, I think it would incentivise things. “Right now the top flight is exclusive to people who have invested in this single entity, so literally you’re buying into this fraternity where you have exclusive access to first division status. “That means that there’s a cap on how many people can be involved in the game, or even aspire to be involved in the game at the highest level. “In short it creates artificial scarcity, whereas anywhere else in the world it’s different. If anyone from a small town in Germany falls into a few billion dollars and wants to raise his eighth division amateur club to play in the Bundesliga they have that opportunity. Right now Americans don’t have that opportunity, either as players, coaches or even investors. Professor Kilpatrick was also keen to challenge the changing global image of the MLS. He continued: “I think that the narrative that you’re hearing over here is that the Beckham experiment was something that had this massive boom and now there’s a greater interest in soccer in the United States. “I think it did create some interest in Major League Soccer, but not as much as the growth of the Premier League at a global scale, or La Liga games. “Still the most popular football team in the United States is the Mexican National Team, overwhelmingly. Liga MX in Mexico is the most watched league in the United States, with the Premier League in England following close behind.